This little device came to me by way of a Cabin Fever auction this year. 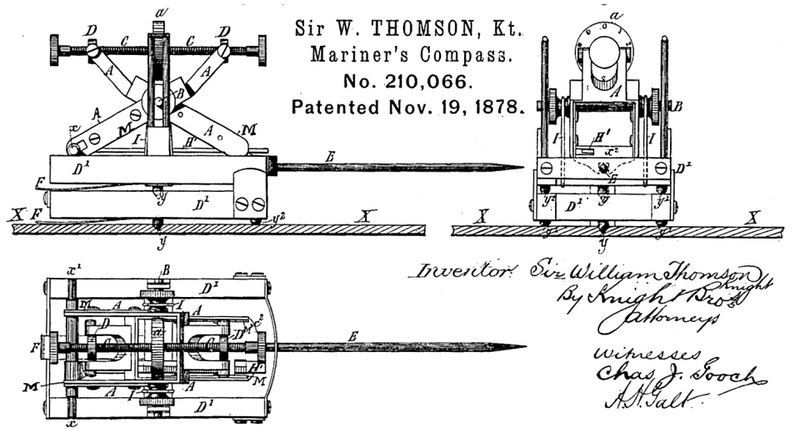 A little Googling brought the answer as to its function: It's used to adjust the compass of a ship to compensate for residual magnetism in the hull and cargo. The procedure can be found in the International Correspondence School's instructions, saved in the WayBack Machine's archives (the entire file is very large !). More pictures of this artifact are here. This example bears the serial number, 777. 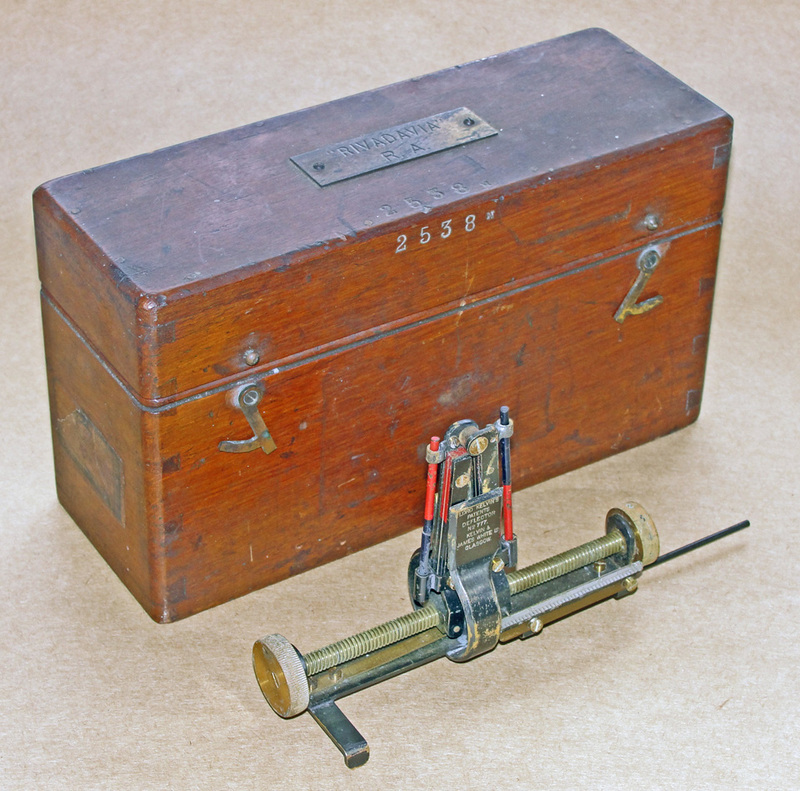 There is another, similar device, made by the same manufacturer, in the collection of the Hunterian Museum, Glasgow, Scotland, bearing the serial number 706, that was made between 1900 and 1904. 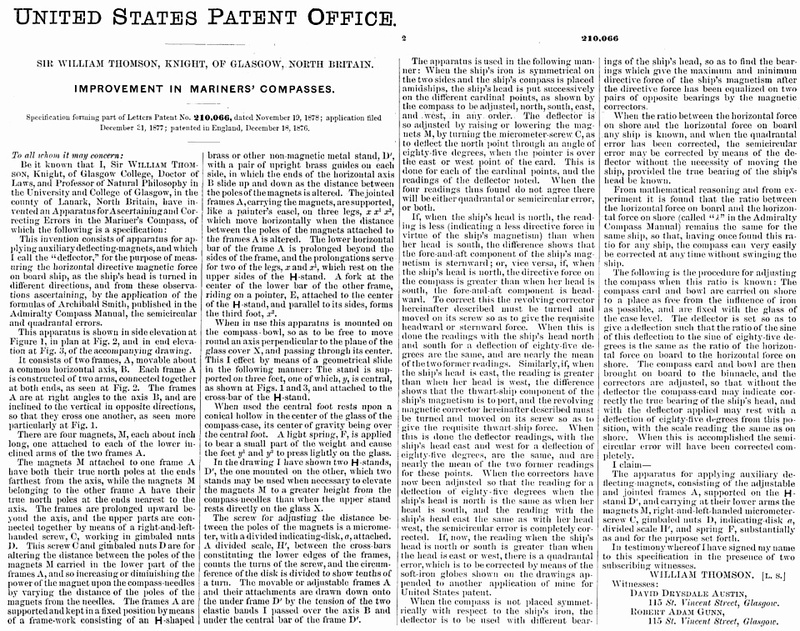 There is one US patent for this device, albeit with a more complex arrangement. 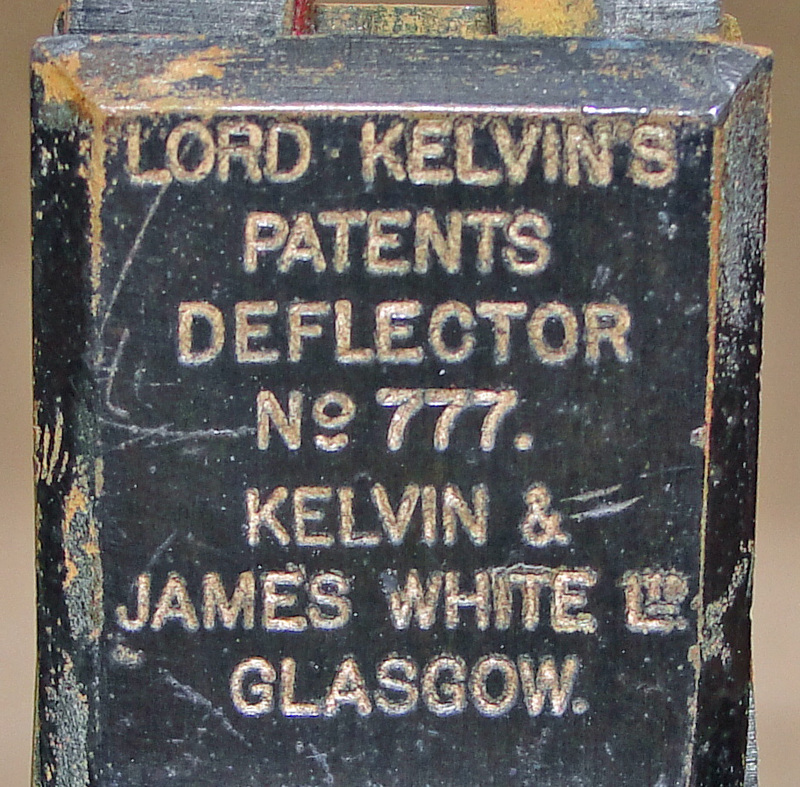 Here is a list of Kelvin's UK patents, saved by the WayBack Machine. 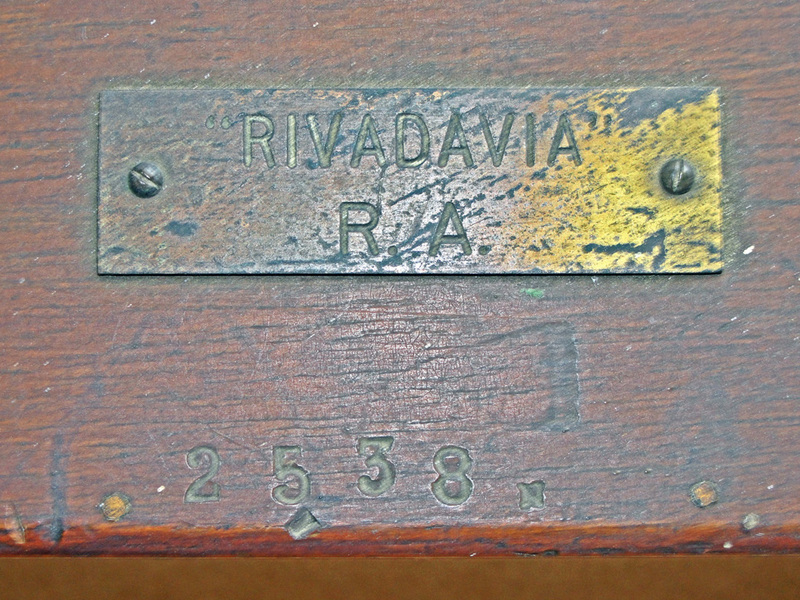 At left is a public-domain file photograph of ARA Rivadavia stored at en.wikipedia.org; the original is stored at the Library of Congress, and was part of the George Grantham Bain collection. ARA Rivadavia was constructed at the Fore River Shipyard in Quincy, Massachusetts, and launched as the world's largest battleship at the time, August 26, 1911. 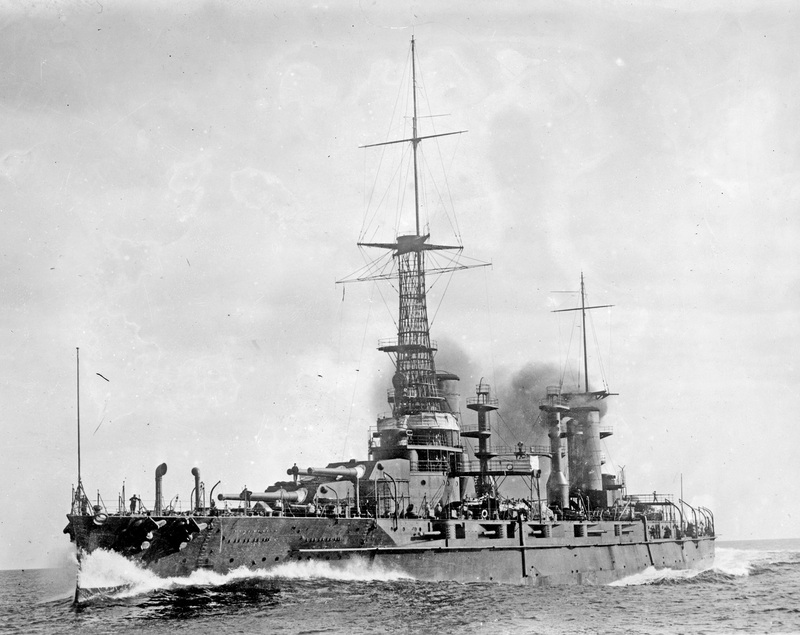 She was also the first dreadnought class warship built in the USA for a foreign government, according to the New York Times newspaper article announcing the launching.